The long-term future of the Scooterotica forum has been secured as Scootering magazine’s parent company brings it into the fold. 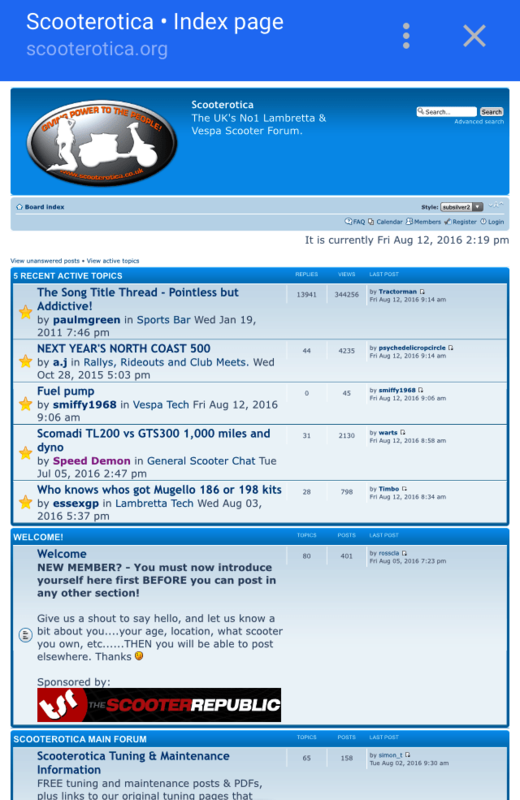 Scooterotica forum was officially launched in 2007 as the brainchild of Dan Clare, scooter dyno tuner/engine builder, and Sean Brady, who’d been running the scooter garage for over 35 years. 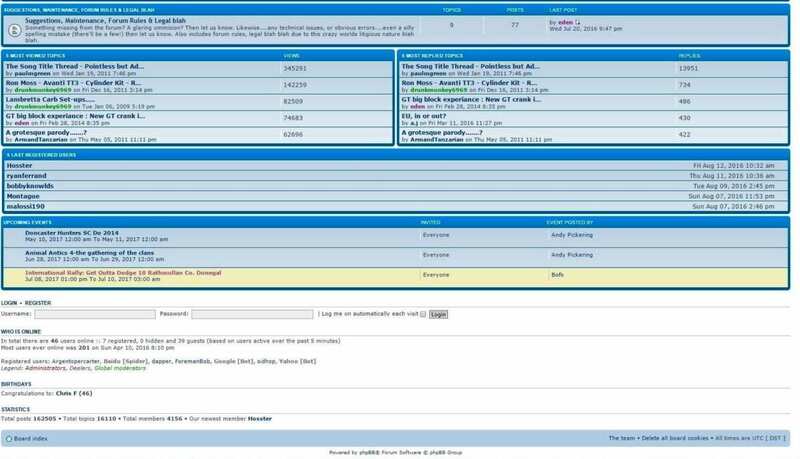 Unlike most scooter forums which revolved around social activities and club events, Scooterotica also catered heavily for maintenance and tuning of both Vespa and Lambretta vintage scooters. 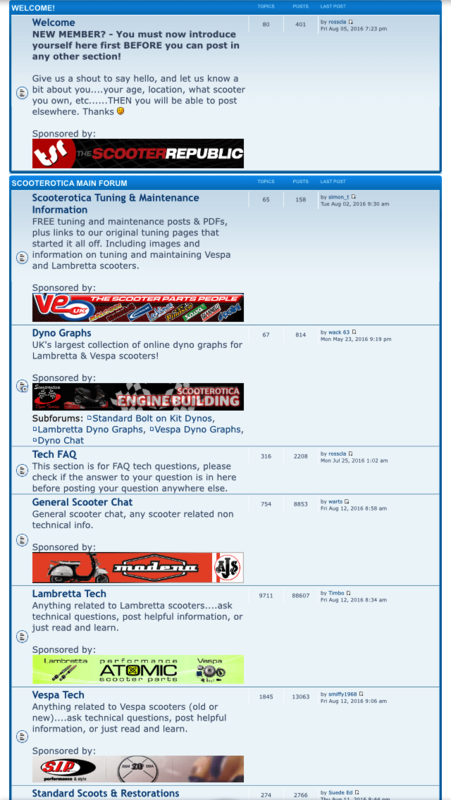 Scooterotica’s fully searchable archives of information have over the years become a hotbed of activity for those needing an answer to any scooter related question, from correct shades of paint, through servicing, maintenance and tuning. 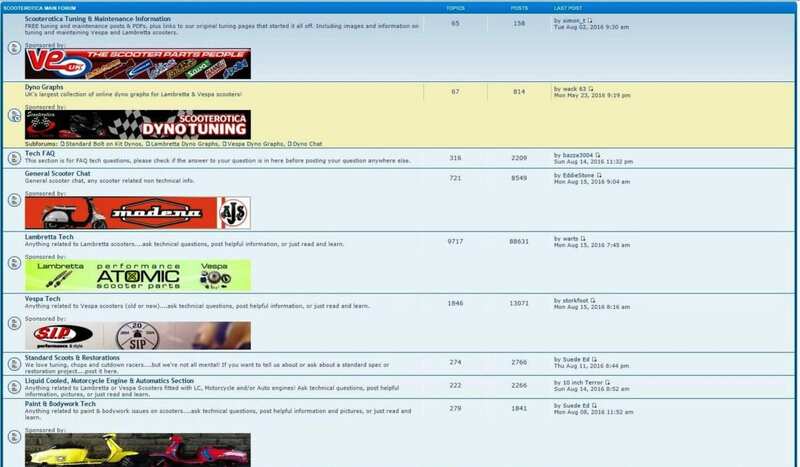 Scooterotica has also proven to be a great arena for various traders to offer advice, and display their new products and services, with credible members from all avenues of the scooter trade, race and tuning fraternity contributing regularly. 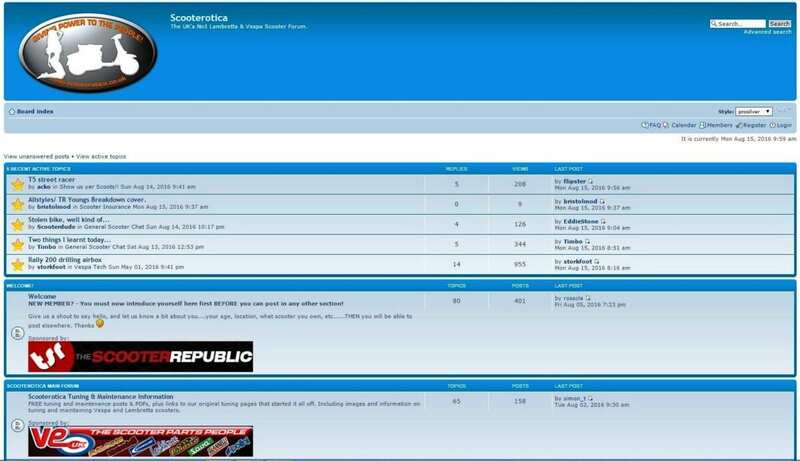 With Dan now firmly entrenched as editor of Scootering magazine and Sean busy as ever with work at the garage, neither have the time to maintain and develop the forum, while also dealing with the admin and day-to-day running of it. Which is where Scootering comes in! We have decided to take Scooterotica forum under our wing and make it part of the Scootering.com digital family. The economies of scale provided by a bigger company will allow Scooterotica to continue to focus on the important stuff while the admin gets taken care of in-house. Scooterotica’s users will see no outward difference, but behind the scenes, things will be smoother. For the digital connoisseur, Scootering already offers Scootering.com – our long- established online scooter news reel, revamped earlier this year with a focus on news, products, how-to and scooters for sale, which attracts almost 40,000 users per month. 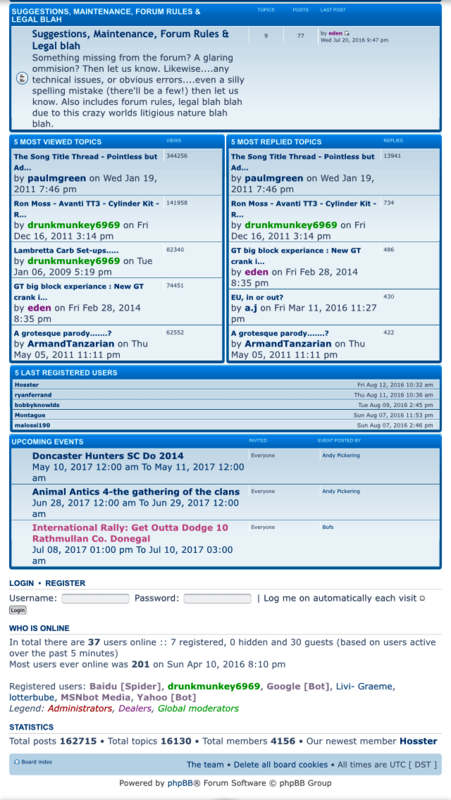 Scooterotica adds 4000+ registered members and over 12,000 browsing guests, all there to share scooter related questions, experiences, answers, images and videos. Combine that with our 55,000+ following on Facebook and hopefully we have all your online scooter bases covered. So if you haven’t enjoyed the Scooterotica experience yet, get yourself over to www.scooterotica.org and sign in for a free account, and benefit from the UKs No1 online scootering community.